The Victorian Railways of old was far more than just a transport business - it was a great railway family, where employees were treated as valued members of the organisation. Life on the Victorian Railways explores a bygone era, through the fascinating recollections and humorous stories of a selection of railwaymen, who performed roles such as Lad Labourer, Junior Clerk, Engine Cleaner, Steam Fitter, Train Guard, Passenger Train Conductor, Ticket Examiner, Station Master, Train Controller and District Superintendent. From the grimy North Melbourne Locomotive Depot to the glamorous Southern Aurora express train, dedicated railwaymen and women carried out their often unseen duties, and contributed to the day-to-day operations of the grand old 'VR' - that proud institution now consigned to the pages of history. 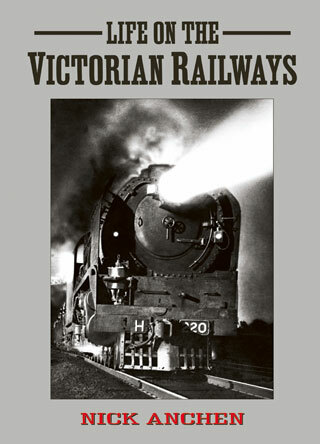 Hardbound with 170 full-colour pages, Life on the Victorian Railways is complimented by over 100 magnificent B&W and colour photographs 'most never before published' and is an absolute must for anyone interested in VR history.